A group of torch-wielding white nationalists led by Richard Spencer returned to Charlottesville, Virginia for a rally, less than two months after white supremacist James Fields killed counter-protester Heather Heyer after a similar event. Spencer and his ilk gathered at the statue of Confederate General Robert E. Lee in Emancipation Park for a short rally Saturday night which, according to police, lasted no more than 10 minutes. The decision by the Charlottesville City Council in April to remove the statue sparked a series of tense protests and counter-protests. “Richard Spencer and what was estimated to be 40 to 50 other individuals held a tiki-torch lit rally in Emancipation park that lasted five to 10 minutes.” Charlottesville police said in a statement, WVIR reports. The group then began singing ‘I wish I was in Dixie,’ a Confederate anthem which originated in blackface minstrel shows. Police followed the white nationalist tour bus as it left Charlottesville. “Our department is conferring with city leadership and the Commonwealth Attorney’s office to determine what legal action may be taken in response to this event.” police said. 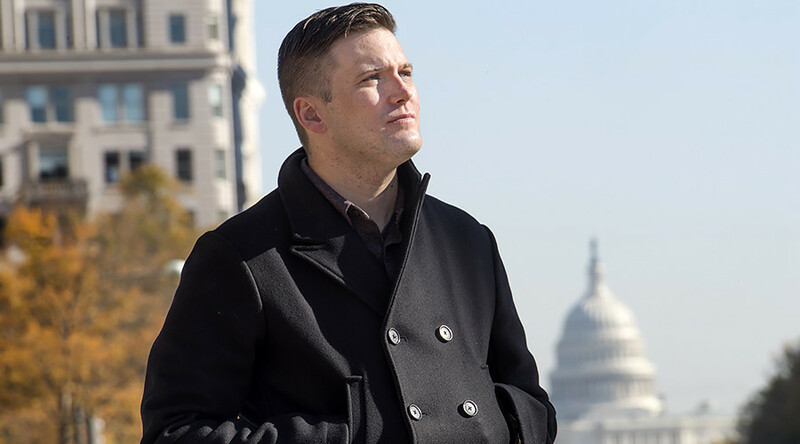 A leader of the so-called ‘Alt-right’, white nationalist Richard Spencer, frequently appears at rallies and his presence tends to trigger protests or skirmishes. For instance, during his speech at Alabama’s Auburn University in April, he was greeted with protests and arrests. The school first attempted to stop Spencer speaking, citing safety concerns, by a court decision secured the event due to First Amendment protections. In May, Spencer led a march with over 100 protesters wielding blazing torches at Robert E. Lee Park in Charlottesville to protest the removal of a statue in tribute to the Confederate general. The event triggered a hundreds-strong counter-protest the day after. Meanwhile, some people rushed to Twitter to decry Saturday’s march. Some pointed out that the US administration had failed to decry the right-wing event, but condemns the kneeling of black athletes during the national anthem instead. Mike Pence is pitching a stagy fit AGAIN about @49ers kneeling, but has no comment on Nazis marching in Charlottesville AGAIN. Trump/Pence STILL found it appropriate to plan divisive NFL stunt. White supremacists marched again in Charlottesville YESTERDAY. Yet this @POTUS and @VP are upset at black athletes demanding racial justice. Mike Pence didn't say a word about the Nazis in #Charlottesville last night.